Stewie is our first dog and was a typical bouncing bundle of fur when he arrived with us at 8 weeks old. At only 11 weeks we noticed something was wrong – and we were devastated to be told by a specialist that he had a hemi vertebrae and that there was nothing that could be done until he was almost fully grown, when it would probably be too late. 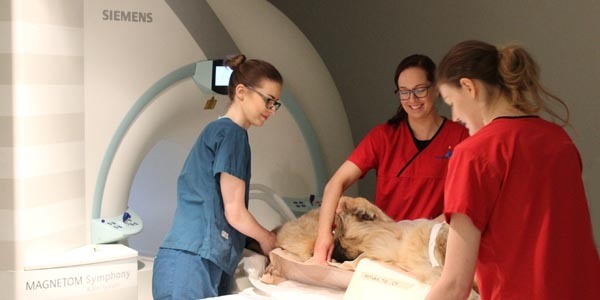 We were told that physiotherapy could help and were referred to Fitzpatrick Referrals. Here we met physiotherapist Samantha Wells (Stewie’s fairy godmother!) who suggested that it might be worth having Dr Colin Driver, Senior Surgeon in Neurology, to look at him. We didn’t want to get our hopes up, or put Stewie through anything unnecessary but after much deliberation, we took Stewie to get a second opinion. Colin calmly examined Stewie and was very honest. If we did nothing, Stewie would most likely deteriorate further, yet even with surgery the odds weren’t great – we should prepare for him to stabilise but not really improve. 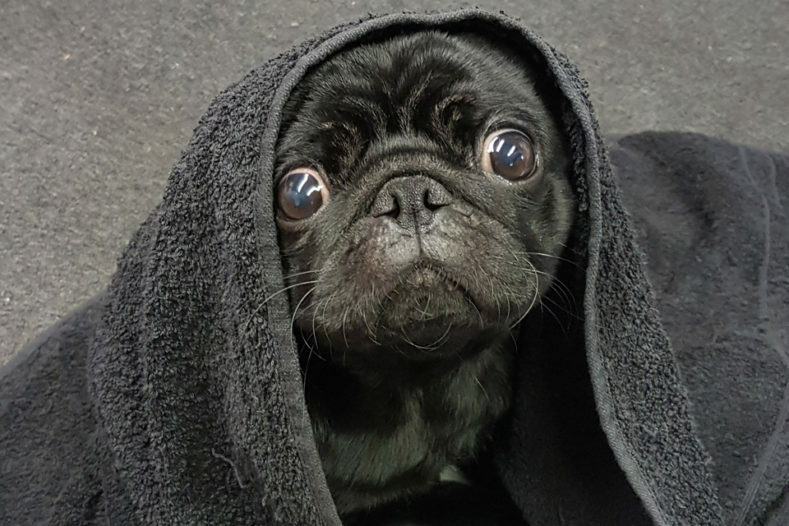 Stewie was in a custom wheel cart and was incontinent, but the concept of our permanently happy, loveable pug getting any worse made the decision for us. Leaving Stewie for his operation was awful. He was scared, as were we – but the regular phone calls from the staff to keep us updated, as well as visiting him, made it more bearable. 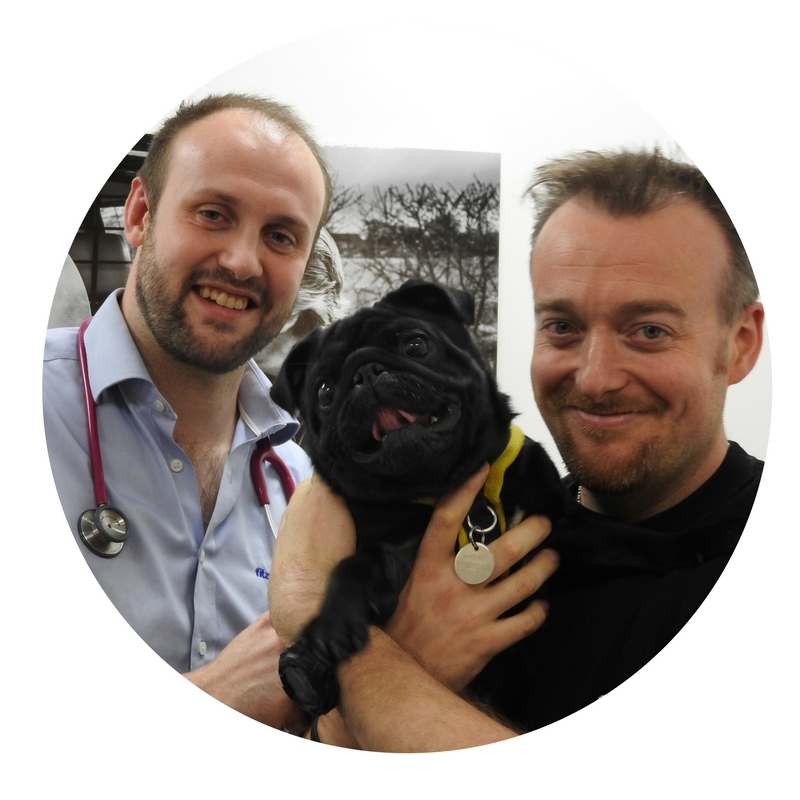 In the 9 months following his surgery, Stewie has had physiotherapy and hydrotherapy every week. Much to everyone’s surprise, he is now walking on all four legs and has not used his wheels in 2 months. 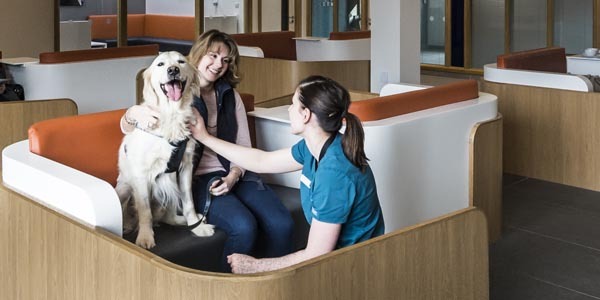 Colin, Sam, Amie and the team of hydrotherapists, and everyone else at Fitzpatrick Referrals are simply incredible. Sam deserves a special mention – were it not for her, Stewie probably wouldn’t be with us and instead he has been given a second chance to show what a wonderful, perfect dog he is. Unfortunately, we are being referred an increasing number of patients with Stewie’s condition and other developmental spinal conditions. 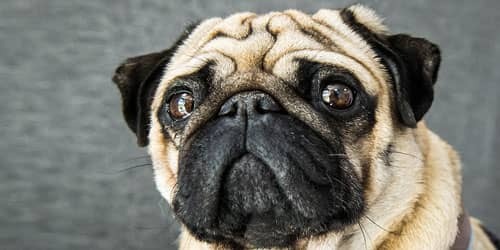 This is because brachycephalic dogs with cork-screw tails such as Pugs, French Bulldogs and Boston Terriers are increasingly popular pets. Poor Stewie is one of the worst cases I have seen, in that he was virtually paraplegic by the time I saw him at 5 months of age. 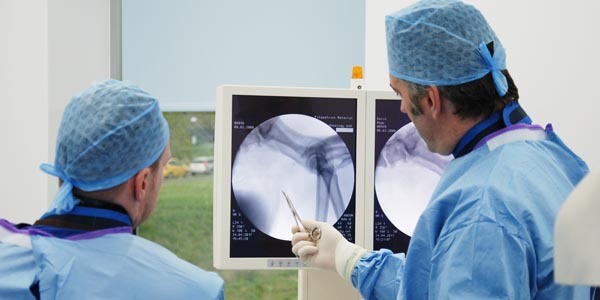 We tend to treat his condition by removing some bone over the compressed spinal cord before stabilising the vertebral column, as excessive bending/torsional forces appear to occur in the region of kyphosis. It has taken several months, but Stewie has against all the odds regained the ability to walk. It has been a real pleasure to see his recovery progressing under Sam’s care.